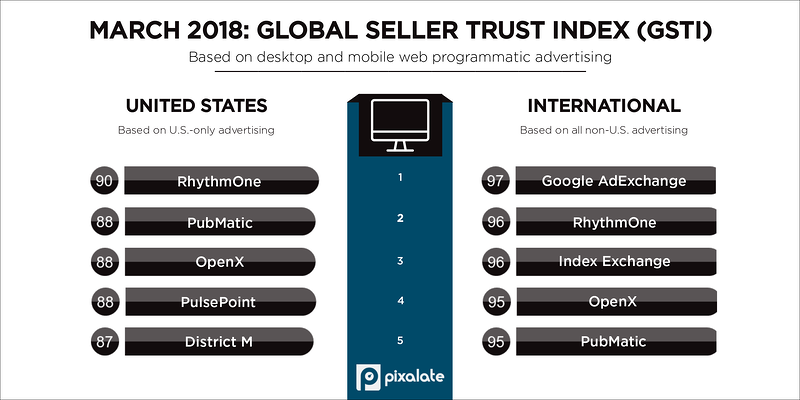 Pixalate has released the Q1 2018 rankings for the Global Seller Trust (GSTI), Mobile Seller Trust (MSTI), and Video Seller Trust (VSTI) programmatic Seller Trust Indexes. Below are some of the key takeaways from each index. Our data reveals that there is far greater variance between high- and low-ranking sellers in the U.S., compared to the rest of the world. This means platform selection is critical in the U.S., as working with the wrong partner can put you at a great disadvantage from an inventory quality perspective. 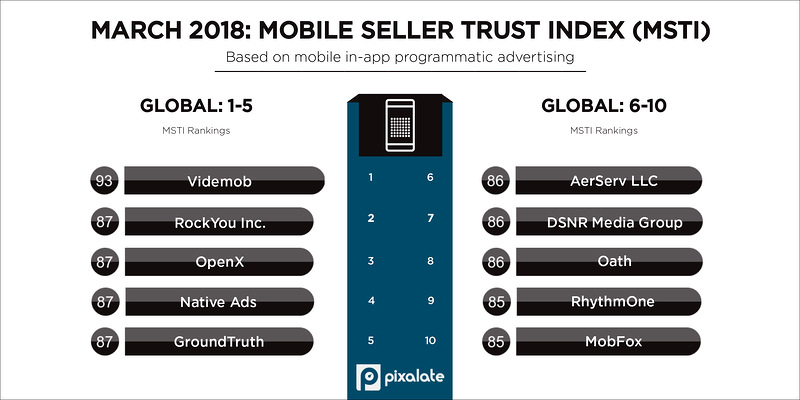 In our most recent MSTI, which ranks the overall quality of mobile app sellers, three of the top five companies and six of the top 12 companies base their business on exclusively in-app inventory. In Q1 2018, the total number of platforms included on the MSTI increased by 26%, compared to 2017 averages. This suggests that the mobile app advertising ecosystem is still going through a phase of rapid growth. 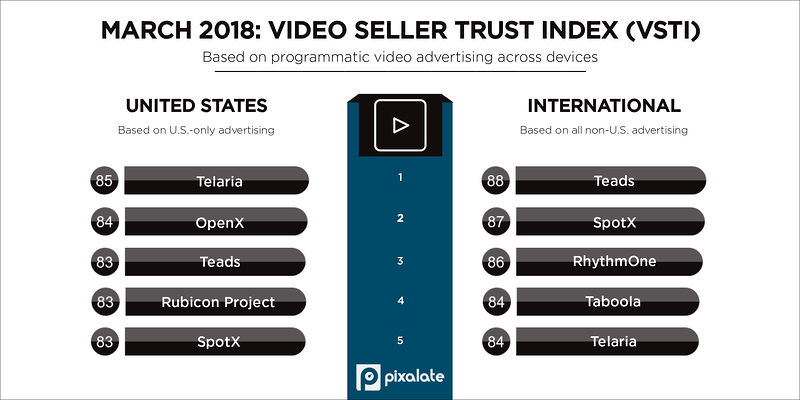 According to our data, the gap between higher- and lower-ranking programmatic video ad sellers has narrowed, which means video platforms are more competitive with one another in terms of quality compared to a year ago. Pixalate is a cross-channel fraud intelligence company that works with brands and platforms to prevent invalid traffic and improve ad inventory quality.